The various factions within the ruling establishment have shared interest in the acquisition of the nuclear weapon. The Supreme Leader Ayatollah Khamenei, former President Rafsanjani and President Rouhani are equally involved in efforts to mislead the world. The British weekly Sunday Telegraph revealed on March 5, 2006 that Hassan Rouhani, when leading Iran’s negotiating team during Khatami’s presidency, had deceived the West and boasted about it as well. Sunday Telegraph wrote: “In a speech to a closed meeting of leading Islamic clerics and academics, Hassan Rouhani, who headed talks with the so-called EU3 until last year, revealed how Teheran played for time and tried to dupe the West after its secret nuclear programme was uncovered by the Iranian opposition in 2002.” Thus, Iran’s capability and capacity to dupe Western governments far surpassed that of North Korea; had it not been for the disclosure of Iran’s nuclear projects in August 2002 by the opposition PMOI/MEK inside Iran and the political coalition NCRI, the Iranian regime would have undoubtedly far more surprised us in acquiring the nuclear bomb than the North Koreans. Preventing Iran from acquiring nuclear weapons is an achievement for international peace and security and also a victory for the Iranian people and its democratic opposition. The international community should express its gratitude to the Iranian resistance movement and its President Maryam Rajavi since without the efforts of this opposition, this victory would not have been achieved. 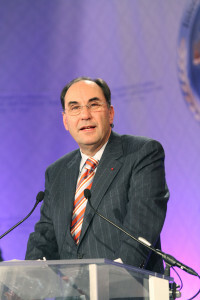 Although a thorough and precise implementation of the Vienna accord will stop Iran from acquiring the nuclear bomb for at least the next 10 to 15 years, the past three decades have shown that this regime is in no way trustable and the international community and in particular the IAEA need to be vigilant and use all available mechanisms to uncover Tehran’s breaches in the nuclear realm. Abandoning, even temporarily, the nuclear weapon will exacerbate the crises within the Iranian regime on an unparalleled scale as this regime had heavily invested on acquiring the nuclear weapon, export of terrorism, and expansion of its influence in the countries in the region, beside its domestic suppression to ensure its survival. These escalating crises are already evident. Therefore, Iran is attempting to cultivate on the favourable conditions following the nuclear deal to have the world turn a blind eye to its cruel and systematic violation of human rights inside the country and its aggression against countries in the region, especially its atrocities in Syria to save Bashar Assad. Over 2000 people have been hanged in Iran since “moderate” Rouhani became President in August 2013. Iran should be held accountable by the UN Security Council for its abhorring and systematic violation of human rights and its malign influence in Iraq, Syria, Lebanon and Yemen. Any improvement of relations with this regime should be preconditioned on the improvement of human rights and situation of women and a complete withdrawal of its forces and militias from the countries in the region. The expenditure of the released funds should be internationally supervised to prevent Tehran from using them to bankroll its warmongering and terrorism abroad and to ensure that the money is spent to advance the welfare of the Iranian people. Sanctions targeting human rights violations and export of terrorism should to be tightened up. IAEA should closely cooperate with the NCRI to discover clandestine activities of Iran and avert being taken off guard. Absent the above measures, not only will Iran expand on its violation of human rights and export of terrorism, but will find a paved ground to circumvent the Vienna accord and pursue its objective to attain the nuclear bomb.